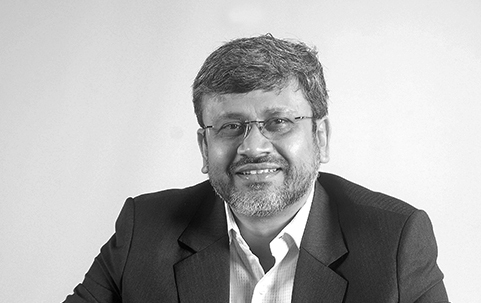 Vector Consulting, a Mumbai-based management consulting firm, follows the ‘Theory of Constraints’ model for providing solutions to management and strategic issues of its clients. Kiran Kothekar, Founding Director, Vector Consulting Group, spoke to Business Today. What are the trends you see happening in the consulting space in India? How the consulting companies are organised, the bouquet of services they offer and their engagement models have remained relatively unchanged over the past 50 years. Management consultants prefer to restrict themselves to proposing ecommendations as they believe decision making in their client organisations are not under their control and therefore embroiling themselves in implementations is risky. They prefer to leave the onus of the actual implementation to clients. This ‘advisory’ model works for large cash rich multi-nationals, public sector companies or governments who can afford it even if expensive recommendations do not fructify into expected outcomes. But family-owned companies, especially in the below 500 cr category, are wary of spending huge amounts as upfront commitments. This has meant that despite the fast growth of consulting in the country, consulting penetration remains relatively poor in the country. So over the last few years, there has been increasing demand for a ‘skin-in-the-game’ model of consulting with fees linked to actual implementation, results and sustainability. Companies would like consultants to not only give them strategic direction but also handhold implantations since the challenges and surprises thrown up during implementation have become fairly complex. Without overcoming these effectively, they cannot realise the benefits of these very expensive recommendations. In the companies you are working with, do you see any influence of global management thinking/ patterns creeping in? In the past two decades, top management across the world is grappling with a different environment, an unstable one, which is not remotely predictable. For example, no one was able to foresee the drop in oil prices or the 2008 crisis. This is resulting in budgets going haywire and forecasts behaving erratically. The conventional theories of management are based on assumption of a machine world, which can be predicted fairly well, with enough data. I think the conventional management approach of making a long-term forecast, converting it into a budget and driving down accountability with static targets and incentives is a misfit for managing in the so-called ‘VUCA world’. In India, management consulting is dominated by the big multinational companies. How is Vector facing up to the challenge? Our assignments are large-scale multi-year transformation projects, with many of our clients in the Rs 2,000-crore-plus size. This was supposed to be the core market for large MNC players. The fact that we are doing such large projects is a testimony of our capabilities. We have been able to create a market of our own due to a different engagement model, which is a true ‘skin-in-the-game’ model – recommendationn-thin and implementation-thick both in terms of time and payouts. More than 40 per cent of our total revenues come from variable fees linked to actual improvement in operations and to real bottom line results of clients. Therefore if the results do not start accruing from the stipulated period, Vector stands to lose as well. More and more companies find real value in this offer and much of the work comes to us through referrals. Let me explain with an analogy. If there is an enormous rock in your path, the easiest and simplest way to remove it is by using a crowbar or a metal rod to pry it out of the way. But for the best results the rod had to be wedged against the rock at one particular point (the fulcrum) which can give you maximum leverage. Our study phase involves identifying this point of leverage for a company, where any intervention will be rewarded with disproportionate results. Further, we work only in select industry segments – consumer goods, retail, textile, auto, equipment manufacturing, engineering & construction – where we have high domain knowledge and experience. Most companies experience a growth of approximately 15-30 per cent after Vector’s implementation even if the market they are operating in is stagnating and/or even if they already market leaders. Are you planning to get into any new areas in the near future? The need for expansion comes when the current market is inadequate for risk-free growth. We feel that with our model and offering, the Indian market itself is big enough to secure our growth rate for quite a few years to come. We have just touched 75 companies, while there are over 500 who would be interested in our model. It is a conscious call to stay focused on India and exploit the market potential before we look at other markets.